● It is a unitized compactly, and it is needed less installation space because it is divided into units of neutralizing control and chemical liquid. ● You can choose manual or automatic operation mode. ● You can choose the device depending on amount of wastewater and size of facilities. 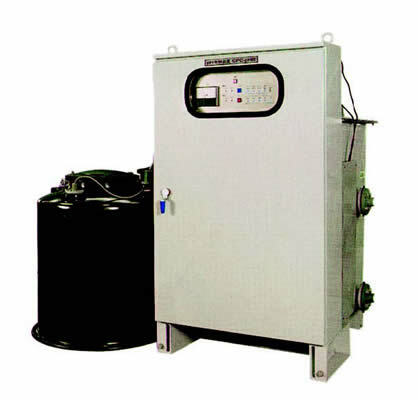 ● Effluent pH abnormal alarm function, which alerts and stops the device when pH value of effluent exceeds the range of pH 5.8 to 8.6, is included as standard. ● It can be installed anywhere because it is for outdoor. ※ Chemical is not included. it is required separately.